Home / County Politics, News / Is he suffering from some dreaded disease? See the amount ROTICH sets aside for RUTO’s medication every month! Or is it daylight robbery? Is he suffering from some dreaded disease? 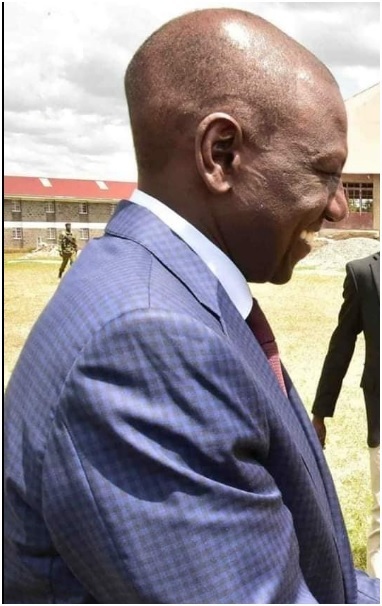 See the amount ROTICH sets aside for RUTO’s medication every month! Or is it daylight robbery? Tuesday December 11, 2018 - Deputy President William Ruto could be suffering from serious disease or this could just be another scheme to rob hardworking Kenyans of their hard-earned money. There are whispers that Treasury Cabinet Secretary, Henry Rotich, sets aside a whopping Sh12 million every month to go into Ruto’s medical budget. This means by the end of the year Ruto would have made a cool 144 million tax free and 720 million at the end of the 5 years if his intention is to indirectly rob us. But if indeed he uses the money on medication, then he must be suffering from one of the dreaded diseases that requires 12 million every month to maintain in order to survive. Either way, the money is too much for a single person to use on medication in this so called poor country of ours. But according to many shocked Kenyans, the DP is just soliciting money for his 2022 Presidential campaigns and nothing more.